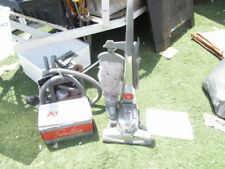 KIRBY AVALIR VACUUM CLEANER G10D VERY NICE. Great machine does have scuffs and scratches. I never needed the rest of the accessories so i just lost them. 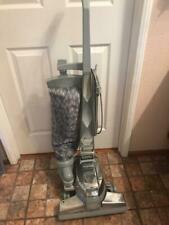 Kirby G10D Avalir Corded Vacuum Cleaner. Multi surface shampoo vacuum head. w/ Multi Surface Shampoo System. shampoo tank. Vacuum Cleaner. Hard floor cleaner solution. Both of the brush roller and the fuzzy carpet roller are in excellent condition! Kirby Diamond Edition with accessories lite use. We do not know the history of the item or have personal use of it. We will describe the item to the best of our ability. This is a used item. Its in good condition with signs of previous use. 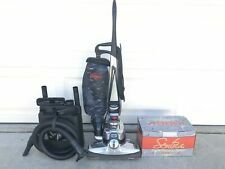 Kirby Ultimate G Diamond Edition Upright Vacuum Cleaner Works Model G7D. Item is being sold as is. 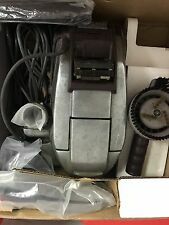 It does power on, works and brush spins. It needs a good cleaning. Was used in a pet house hold, has wear such as scuffs, scratches. Does not include vacuum bags. Will be dissassembled for shipping. Please see pictures. Ships free to the lower 48 states. Feel free to ask any questions.